The year is 1949 and Valdimar Haraldsson, an eccentric Icelander with elevated ideas about the influence of fish consumption on Nordic civilisation, has had the singular good fortune to be invited to join a Danish merchant ship on its way to the Black Sea. 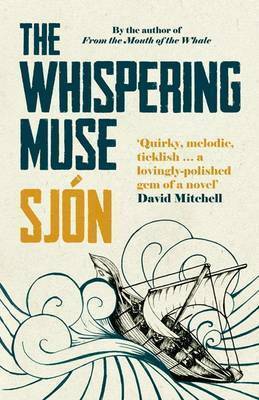 The Whispering Muse is another quirky tale from Icelandic author Sjón. As with all Sjón's works, the prose is lyrical and the plot full of magical realism. I enjoyed the idea of telling the story of Jason and the Argonauts (parts of it, anyway) from the perspective of Caeneus, and it was interesting to see him juxtaposed with the rather eccentric Haraldsson. I really enjoyed the story, which I finished in a single sitting; however, this particular book didn't captivate me as deeply as some of Sjón's other works. Nonetheless, I am giving it 4.5 stars, which I would round up to a five rather than down to a four.